Post with permission from Agno River Trek 2013. Agno River is the known fifth largest river in the Philippines and the third largest in the island of Luzon next to Cagayan River and Pampanga River. The River is a 206-kilometer long river that stretches from Cordillera Mountains to the Lingayen Gulf. Agno River is also the Philippines largest, running through canyons and mountainous terrain. It is the fifth largest river in the Philippines, and it is considered to be one of the most important river systems in the country as it powers three hydroelectric dams: Binga Dam in Itogon, Benguet (29 km upstream); Ambuklao Dam in Bokod, Benguet (37 km upstream) and the San Roque Dam in San Manuel, Pangasinan. Although the catchment of the river is now deforested, its catchment according to Spanish explorers during the 16th century was an extensive marshland covered with mangroves and nipa palm trees. It was a great habitat for marshland wildlife species along with other animals in the area. 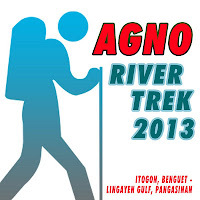 AGNO RIVER TREK 2013 is a trail toward empowering the people of Agno. There are roughly two million people living in the Agno River Valley and in the surrounding areas of the river’s tributaries up north in Benguet to the plains of Central Luzon in Pangasinan. Its people face environmental and socio-economic concerns. Adventure, thrill, and natural wonders, with a twist await along the 206-kilometer long river that stretches from Cordillera Mountains to Lingayen Gulf. 1. 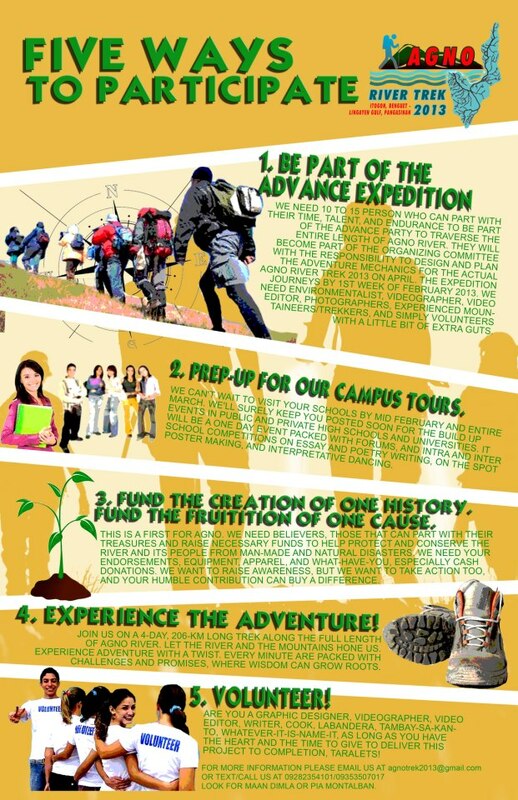 Be part of the Advance Expedition team. We need 10 to 15 person who can part with their time, talent, and endurance to be part of the advance party to traverse the entire length of Agno River. They will become part of the organizing committee with the responsibility to design and plan the adventure mechanics for the actual Agno River Trek 2013 on April. The expedition journeys by 1st week of February 2013. We need environmentalist, videographer, video editor, photographers, experienced mountaineers/trekkers, and simply volunteers with a little bit of extra guts. 2. Prep-up for our Campus Tours. We can't wait to visit your schools by mid February and entire March. We'll surely keep you posted soon for the build up events in public and private high schools and universities. It will be a one day event packed with forums, and intra and inter school competitions on essay and poetry writing, on the spot poster making, and interpretative dancing. 3. Fund the creation of one History. Fund the fruitition of one Cause. This is a first for Agno. We need believers, those that can part with their treasures and raise necessary funds to help protect and conserve the river and its people from man-made and natural disasters. We need your endorsements, equipment, apparel, and what-have-you, especially cash donations. We want to raise awareness, but we want to take action too, and your humble contribution can buy a difference. 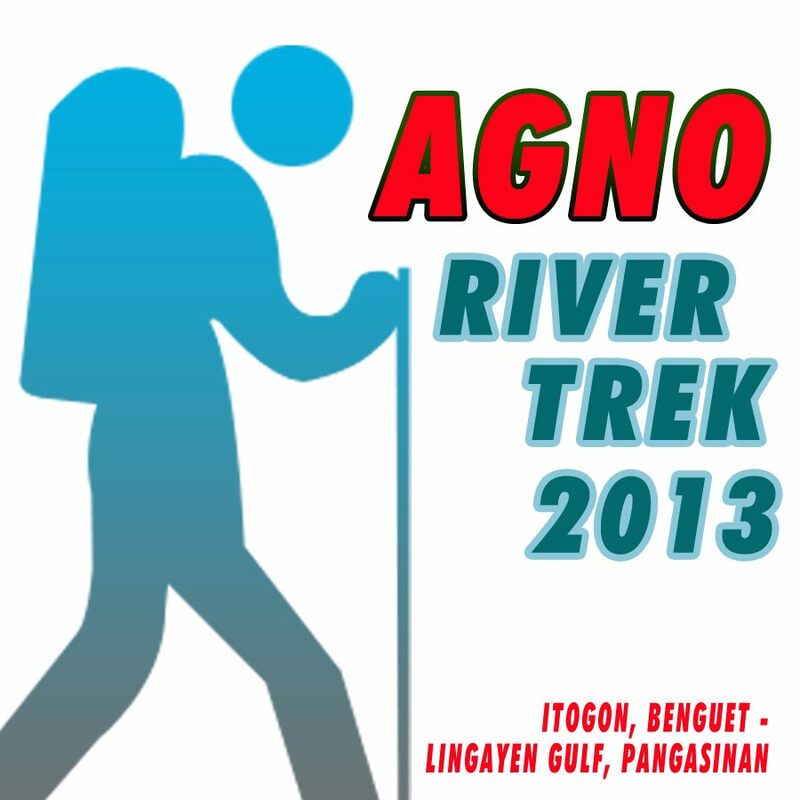 Join us on a 4-day, 206-km long trek along the full length of Agno River. Let the river and the mountains hone us. Experience adventure with a twist. Every minute are packed with challenges and promises, where wisdom can grow roots. 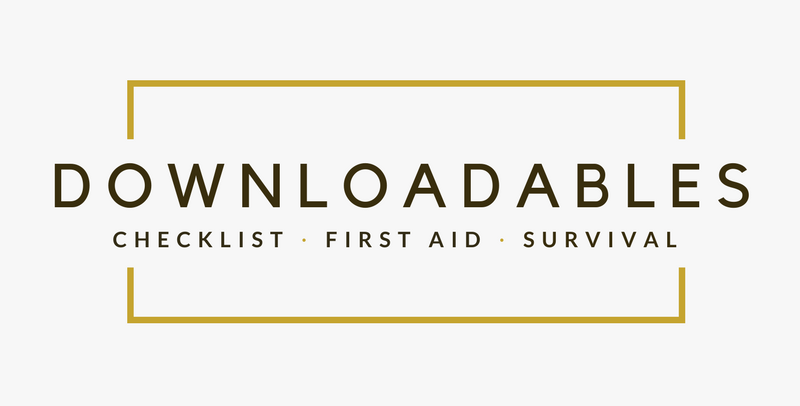 Are you a graphic designer, videographer, video editor, writer, cook, labandera, tambay-sa-kanto, whatever-it-is-name-it, as long as you have the heart and the time to give to deliver this project to completion, TARALETS! The Philippine Mountaineering is a member of the Agno River Trek 2013 Organizing Committee together with key individuals of Mountain Climbers Alliance of the Philippines (MCAPI) and Monkeyneering.